As with most things, we find this out the hard way after a client registered his previously functional trial copy of AVG AntiVirus, only to find his computer is an eternal reboot loop. When he went to activate the AVG license that had worked flawlessly for about a month, AVG coerced him into downloading the “new” version and everything went downhill from there. This is a perfectly functional Windows XP SP2 computer with lots of life left in it. The user has no need to change this. An option when having install problems is to check the box that asks for assistance from AVG to do the install. This, it turns out, installs a Logmein Rescue client which, along with the failed partial install of AVG 2015 – and the uninstalled (previously working) version of AVG 7.1, causes Windows XP to crash nicely. Because it is entirely possible the install of SP3 will puke in your shoe. So after two hours of chasing my tail, I deleted all traces of AVG and installed the free version of ClamAV Win which while not as configurable as AVG, at least works with the OS. And it’s FREE. Here’s our position on this. AVG AntiVirus is in our opinion the best product on the market with the caveat that their support is truly horrible. Seriously, I don’t think I have ever encountered less effective support anywhere. After selling more than 3,000 licenses of AVG in the last 10 years, I still feel it is still the most effective product — and if there was a better product I’d sell it. We currently recommend, sell and configure AVG CloudCare, which is the commercial product and much more full featured than their consumer line. Contact us if you would like to have the best malware protection in the business. If you have a Mac, you do not need AntiVirus. Period. I’ve scanned a lot of Apple Mac OS X machines over the years, just to be safe and have yet to find one infected. 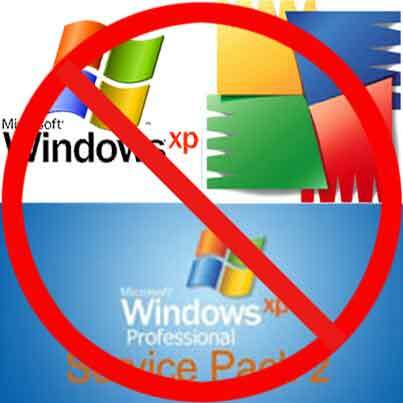 As much as Windows XP is a great OS, it is no longer supported and due to massive security risks we do NOT recommend connecting an XP machine to the Internet. Windows 7 is an excellent substitute.